UPDATE: 12 days after this episode was recorded, the rumor was confirmed. Narnia is headed to Netflix. NarniaWeb was plunged into chaos this week when a rumor hit that Netflix is developing a series based on The Chronicles of Narnia by C. S. Lewis. If this is true, what is next for Narnia? Which book would Netflix do first? This rumor has deeply divided fans. In this special edition of Talking Beasts: The Narnia Podcast, Glumpuddle and Gymfan examine the reaction and offer their own. The LWW has been done over and over. Why would you want to do it over again. If you don’t do LWW then you would want to do one of the books that hasn’t been done yet. SC is a great stand alone story. That and BHH are the two stories that can stand alone. They will either make the movie or The Lewis estate is taking SC to Netflex. Personally, I still want to see a movie made. The Walden movies (the first two) were what drew me to the books. I really want to see another movie of the same scale. This may be a minority opinion, but I believe beauty can come from scale. Also, I just don’t watch TV shows or have a Netflix account. It would be cool if the show had continuity with The Silver chair movie, though. This would be similar to the plan Sony had for The Dark Tower (the TV show is supposedly still in development). I’m on the movie’s side even if there’s no movie to lead it. I think that you are right that sometimes beauty can come from scale. But just because a movie has a huge budget doesn’t make it a good movie. Heavy CGI and large scale epic battles don’t make a good movie. Certain stories are better told over certain mediums. Lewis used books for children, fairy tales, as his medium. He could have written a much longer, much fore detailed book. He didn’t. And the medium he chose works beautifully for the stories he wanted to tell. However, it doesn’t follow that those books will translate well to another medium. Blockbuster film, for example. It might be time to accept that Narnia was not meant for the blockbuster medium. I honestly feel that for all their flaws, the movies have had pretty simplistic plots and a childlike tone. Actually, one of my biggest criticisms of the first two movies is that they cut big visual set pieces from the books, not that they added them. I should have clarified. When Josiah wrote that he wanted to see another movie of that scale, I was thinking in terms of how Hollywood usually interprets that. Budget, special effects, sweeping panoramic shots, epic battle scenes etc. I do agree with you that CGI is probably the best way to portray the animals in Narnia, especially to portray intelligence and expression. I am curious, what big visual set pieces did they cut from the first two that you would have liked to see? I think they should have shown more of spring coming to Narnia and the statues being revived in LWW. And I think they should have shown Beruna being transformed in PC. I realize those aren’t battle scenes, which are probably what you and Hollywood people think of when it comes to big visual set pieces, but you’ll see they are when you think about it. Wow, those are some cool ideas! You almost made me wish this was really happening… then I remembered I’m a Narnia purist who doesn’t like to see too much non-canonical stuff injected into the stories. Otherwise your idea is good. I’ve only listened to half of the podcast, but so far you guys have made really solid points. Netflix is not inherently a production company; sometimes it only has distribution rights. Budgets for TV shows are pretty big nowadays, though not blockbuster level (unless you’re Game of Thrones). I’m still split on this question. I was looking forward to Joe Johnston’s film with Dave Magee’s script. It sounded like the people involved were going to bring a faithful, exciting adaptation to screen. And I don’t go to movies that much, but the big screen does have a certain "event" appeal to it, whereas new stuff from Netflix pops up everyday. But, I think it was glumpuddle who pointed this out, Netflix’s content is better for niche audiences. They’re not concerned about every show/movie they make reaching the lowest common denominator audience. I really wouldn’t mind them remaking LWW. The point made about budget constraints in a movie with a CGI lion is definitely something I wonder about, but I think ultimately a modest budget would make a better product. What’s so interesting about Aslan is that he doesn’t do a whole lot of running and fighting. In some of the books, he’s barely more than a voice that pops up in a couple scenes. I believe, with the right people at the helm, that a faithful series could be made, the scripts would rely closely on the books due to a smaller budget, and special effects would be used much more carefully and deliberately. One of the things that always bothered me about Walden’s LWW was the scale. I was fourteen at the time (2005) and loved the epicness of LOTR, but even back then I remember thinking, "Why are there thousands of centaurs? Narnia is a small country. Why are there thousands of fauns?" You lost sight of all the many wonderful creatures WETA made, because ultimately it wasn’t about populating a fantasy world, it was about filling up the screen with color and action. I think with a Netflix series, we could have a more intimate experience. We don’t need the giant wide shots of armies clashing. You can still worry about your hero prevailing in a fight even with smaller numbers (see the battle at Amon Hen, or Weathertop). I would be delighted if we got the scene where Pevensies first meet Aslan, and it really only is a small crowd of Dryads, of the Leopards holding his crown and standard, and of something like three or four Centaurs. I could go on and on about how fun it would be to see the Chronicles turned into a cohesive series that relied on a strong script and creative filmmaking and puppetry and tasteful CGI, rather than big, epic, huge, "we’ve spared no expense" cluttered depictions that are the Walden films (in my opinion, obviously). One other thought I had, and I know this will ruffle a lot of feathers, is that if Netflix wants to give itself an angle that’ll help it stand out from the movies of the past, it’s this: they should adapt/release the movies in chronological order. Magician’s Nephew, then LWW, then Horse and His Boy, and so on. Otherwise, if they go the publication route, they’re expecting audiences to tune in initially for three retreads of movies that many people might dismiss because they’ve "already seen them before" in the Walden trilogy. I wonder who will stick around for the books that haven’t been adapted yet after waiting through a rehash of LWW, PC, and Voyage. But maybe that’s not a factor. Great work, guys. An exciting time to be a Narnia fan. If they did, prepare for then to with a middle cook in the timeline mixed with flashbacks of earlier books. Another interesting idea is, if it’s at Netflix, will Millie Bobby Brown be back in? Not as Jill, but maybe (kid) Polly? I’m not dying to see her in Narnia but I think she could be draw. I think that the director will be smart enough to realize they need to spend a good chunk of their budget on the creation scene so I’m only worried about a realistic Aslan. Well, I never thought the day would come where I’d be MORE pessimistic then Glumpuddle about a potential Narnia adaptation. Truly these are strange times we live in. In addition to that, I’m not sure the books really work in a serialized format. Narnia is seven individual stories each with a clear beginning, middle, and end. Whereas TV shows, especially modern ones, are built on having a continuous on going narrative with the same group of characters. If they did multiple books per season for example. I’m not sure it would work to go from say, SC to HHB all in a single season. As for the budget. Shows like Stranger Things and Daredevil each have budgets of around $50 million per season. And while they do have good production values, their both still mostly grounded in reality. While with Narnia you have to not only deal with making a convincing Aslan, but also fauns, centaurs, talking animals, and all the other magical creatures and settings found in the books. I’m not at all confident they could do all that justice on a Netflix budget. The only thing that even remotely interests me about the idea of a Netflix show, is the possibility of seeing all the books adapted with a consistent cast and look. Which if I’m being honest, isn’t vary high on my priority list. Film can’t do Narnia the way a tv series can. I think it’s a good way ahead. As long as it’s not like Star Trek. Another happy alternative possibility someone has mentioned is that Netflix could just distribute the Silver Chair, not produce it. (and hopefully this would mean that the film could still be seen in cinemas and on DVD.) Otherwise, I hope this rumor turns out to be as false as the Millie B. Brown rumor. And that’s pretty false. P.S. Did anyone read the German report on this rumor? Does it hold any more info? I used Google translate to read that article. But it didn’t have any more info. I personally love all the books by C.S.Lewis, but if there were to be a Netflix series, I’d really love a series base on the Pevensie’s 15 years of monarchy in the golden age. Like, imagine it. Yeah, I would love a Netflix series on the Golden Age of Narnia!But, other than that, I in general prefer movies for Narnia. Hmmm… what about LWW and HHB as a ten or twelve episode first season? One major benefit I can think of for doing that is HHB has never been adapted to film before; the season wouldn’t simply be a reboot of a movie that’s already well-known. The next season would be Prince Caspian and The Voyage of the Dawn Treader, which I think gels better because they both share the Caspian character. Then we have the two Jill- and Eustace-centric stories, SC and LB, as a third season. One thing I don’t like about that idea is that Jill and Eustace will not have aged at all between the events of SC and LB, and I think recasting them both might be a bit jarring. I’m also not sure where MN would fit in this picture, either. I liked BBC VDT the best but LWW isn’t that great. And BBC Prince Caspian is good too, except for the duel. That was one of the things I liked the best from Walden PC despite the flaws it had. But seriously, it’s all stuff & nonsense until we hear Gresham’s on board & happy. And I think Gresham would want at least 80% canon fidelity and Publication Order. Unless … persuaded otherwise?! Ideally, I would like to see 6 half-hour episodes per book. If they did two books a season that would be 12 episodes. Half-hour episodes are more common with animated series though. I would think they would want to start with MN since so many versions of LWW have been done, but I’m not sure what order to go on from there. I don’t think HHB and PC would make a good season together, but I’m not sure what other way to do it if MN and LWW are first. If netflix took over Narnia, it would probably be, not be a TV series with 7 seasons, but 7 full length mini-series’. Either in publication order or chronological order. The latter seems less confusing, given that it’s called The Chronicles of Narnia (That’s what confused many a movie goer with the Narnia movies: They were billed as Chronicles, but were in the less-known publication order instead.). I’d just like to say that I never expressed concern with the special effects specifically. I just think Narnia would look good on the big screen. We were only able to see the Narnia movies in theatres for a limited time. With a tv series, we won’t get a chance at all. Doesn’t anyone view that as a downgrade? I think where I part ways with the podcasters is that I don’t see the Narnia stories as intimate or character driven (at least not consistently.) For example, I don’t think Jill or Eustace in the Silver Chair are particularly great characters. I empathize with them a lot but that’s because they’re pretty generic. While I don’t watch TV that much because I don’t need more distractions from work than I already have, my favorite shows tend to focus on a small group of very vivid and well-defined characters. The only Narnia books I really see as being super main character focused would be The Magician’s Nephew and The Horse and his Boy. They would lend themselves the best to a TV series. But the Magician’s Nephew requires a lot of special effects and the Horse and his Boy could be seen as offensive to Middle Eastern people. So that’s a stretch. Glumpuddle, you keep using a Jill-Eustace romance as an example of something studio execs might force to the C.S. Lewis Estate to agree to for a movie version. Can you explain why you think a tv serial won’t want that? Like I said, I don’t watch a lot of TV but I understand they’re driven by shipping as much as movies. What makes people think TV writers won’t want to pair the characters or create love triangles? Great thoughts, as always, Col.
^ I don’t necessarily disagree about Jill and Eustace being kinda generic, but those are some of the emotional beats that define SC for me. Usually when I’m asking the filmmakers to focus on the more “intimate” stuff, that’s what I’m talking about. But movies have a tendency go focus on the fate of the entire world being on the line. Netflix streaming is $11 per month. Which is about the price of 1 movie theater ticket. But with Netflix, you could watch Narnia as many times as you want in those 30 days and then cancel after that. And actually, the first month is free. So you will be able to watch Season 1 for free. I’m not saying Netflix will definitely not do things like a Jill-Eustace romance. My main point is they are less likely to do so than Sony. Reasons: 1) Netflix has a reputation for giving creators complete creative control over their content. There is virtually no doubt that Netflix would give the CS Lewis Estate much more control over the script. Therefore, a J/E romance is much much less likely to happen. Netflix’s Lemony Snicket series stuck very close to the books because the author was the screenwriter, and Netflix seldom interferes.2) Adding unnecessary love triangles is the kind of thing studios do when they’re trying to appeal to a mass audience. But, Netflix (not surprisingly) has a history of focusing on small niche audiences. And the budget will be smaller, which means less pressure to appeal to every person in the world. I definitely think the odds of a faithful adaptation would increase by switching from Sony to Netflix. Having Narnia on Netflix probably would mean less spectacle. But if that means more focus on the story and character beats, it’s a trade I’d make any day of the week. I would only view Netflix as a “downgrade” if the story suffered. I actually own all the Narnia movies on DVD and I have a VHS of the BBC series (though I can’t watch it because my VHS player doesn’t work anymore.) So I’m not saying Narnia adaptations should only be watched on a big screen. I’d just rather watch them on a big screen than otherwise. The reason I don’t want to get Netflix is because they aren’t doing any shows that appeal to me besides Narnia. Money’s tight for me right now so I don’t want to pay for something I’ll barely use. But I know I’ll end up doing it (unless the commercials look terrible and even then I’ll probably want to watch it out of morbid curiosity.) So that irritates me. I agree that Netflix execs probably aren’t going to force the writers to do a romance or anything like that. But I see no reason a screenwriter wouldn’t to add a romance of their own accord. Not all bad ideas come from bean counters. Sometimes individual artists can have bad ideas of their own. And we don’t know what writers or directors will be working on this show yet. If I sound bitter, it’s not because I think a Netflix Narnia series is the worst idea ever. This has been a disappointing year for me and the fact that they’re not making a movie of The Silver Chair, for which I was hoping, and they’re going to make a Netflix series, which I didn’t want, is the cherry on the miserable cake. If I were in a better mood generally, I might feel like writing about the potential benefits more. I don’t think I’d be super excited though. I was excited (and scared)when I first heard Disney and Walden were making movies of the Narnia books because they could do things that the Radio Theatre adaptations couldn’t. I see few, if any, things that a Netflix series could do better than the Radio Theatre adaptations. "But I see no reason a screenwriter wouldn’t to add a romance of their own accord." Not impossible, but certainly less likely with Netflix than a big movie studio. Wouldn’t you agree, Col? Main reason: I don’t think Gresham would allow a romance. And he would have a lot more power and control than he did with the PC movie. Netflix would be a totally different ballgame. I respectfully disagree: I don’t think Eustace and Jill are generic. They just appear in a less interesting story. And they make wonderful supporting characters in The Last Battle. I’ve read your pros and cons discussion about rebooting with The Silver Chair, and I think it’s just. Still, a movie adaptation requires changes that make it an involving film for audiences. For example: Caspian’s resurrection could be a very moving scene on film – if it’s changed to suit the story on film (Caspian meets Aslan , then Eustace and Jill, and thanks them for saving his son, but then sees his dead wife and Drinian – both younger than shown in backstory footage – and there is a wonderful reunion reminiscent of The Last Battle.). Something like that. Also, you’re more cheerful than you let on (there are quite a few Narnia fans out there who are pessimistic – those people have given up on Narnia adaptations already). Glumpuddle I think HHB would be presented as a Christmas special (similar to how the Abominable Bride was for Sherlock) maybe after season 2? I’m pretty much right where Gymfan’s head is at. 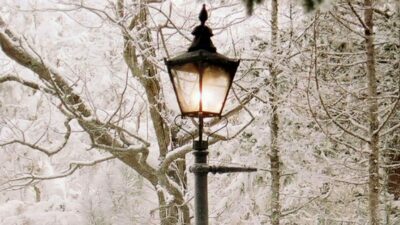 I think Narnia as a Netflix TV series is most excellent, and I really hope, and suspect that it is going to be a complete reboot. I don’t mind seeing another take on LWW and if that is what is needed to get people into the Netflix series and help finance future episodes, I’m all for it. – Episode 2 ends with the White Witch leaving Aslan’s camp. Episode 1 ends with Caspian blowing Susan’s horn. Supposing they reboot the whole series, I think it could be interesting to start with LWW, have the Pevensies come back through the wardrobe, and then have them exchange stories with the Professor. That would lead into HHB and MN. Two of the outlying stories that are difficult to fit in anywhere else. Then you have the remaining four books that can go in Chronological order. I feel like MN+LWW would be the easiest to sell. It’d be the best of both worlds: The iconic story everyone recognizes (LWW) with a very notable addition (origin story). Yes, LWW is the the most recognizable story… but it has already been done. I think there would be some feeling of "really, again?" from the public. However, if you had MN in front, you could emphasize Narnia origins in the marketing. Discover the origin of the White Witch, the wardrobe, Narnia itself… That sounds like a more interesting hook for me. My thoughts exactly, Glumpuddle. Even though I’m not a huge fan of the Netflix idea, I would want MN to come first. It would create a fresh take on a series that to this point has invariably begun with LWW whenever it has been dramatized(with the exception of the audio dramas.) And I think that it should not be a continuation of the Walden series. Hopefully they’ll leave that up to Joe Johnston and Mark Gordon. I agree that perhaps for a netflix series it would be good idea to start with the MN. I am a firm believer in discovering Narnia with LWW first, but anyone looking to watch a new series about the "narnia prequel" will probably already have discovered LWW and that could be a really good sell for the start of another narnia series. Also a narnia T.V series would actually work better if you followed the chronological order of the books for many reasons, easy to follow, children growing up the same time as the characters, etc. Plus a book like HBB, which is a bit of an oddity in the narnia spectrum, would only work if you followed it on from LWW directly IMO. I like the idea of including HHB and MN as stories exchanged among the Pevensies, the Professor and Polly! Even if they begin with MN, they could still do this with HHB following LWW. It would be a good way to establish the Friends of Narnia — something I’m sure a Netflix series would expand on. If a Netflix series does begin with MN — which seems fairly likely — I wonder if they will include Jadis attacking and overthrowing the throne of Narnia after the Tree of Protection dies. Or the founding of Archenland and Calormene, for that matter. After a lot of contemplation, I find myself in the pro-Netflix camp. I for one, am growing very tired of the current trends in Hollywood. Rather than seeking out and making original content, Hollywood has been leaning more and more toward sequels, prequels, franchises, and cinematic universes. They are pouring more and more money into fewer and fewer movies. Budgets are skyrocketing! More and more money and resources are going into the movies Hollywood perceives as blockbusters, guaranteed money makers. And I am less convinced than ever that Narnia is a blockbuster property. I would like to see Narnia again on the big screen as much as anyone. But I am not convinced that I am willing to make the sacrifices that big studios tend to demand of adaptations in order to make a four-quadrant movie. In order to get the kind of budget the Walden movies had, I feel studios would demand some pretty substantial changes to the source material. I just do not think children’s fantasy translates well into the Hollywood blockbuster. I can think of very few examples of children’s fantasy books becoming huge moneymaking movies except for Disney cartoons. And even those make some pretty big changes to source material. You know what translates well to blockbuster movies? Comic books. Comic books transition very well to the blockbuster medium. I think that Netflix could provide the perfect medium for Narnia. It can give the freedom of a somewhat smaller budget, allowing for a better adaptation. That’s idealistic and optimistic. But I agree with Glumpuddle that it is more likely at Netflix than in a big studio. Also, there is little doubt in my mind that a Narnia Netflix series would reach WAY more people than a movie with a traditional release in theatres. Way more people would be exposed to Narnia, which is not a bad thing in my mind. Very well said indeed! I agree with everything except the last part. Narnia moving to Netflix would mean fewer eyeballs on it. Maybe…I don’t know. I feel like the entertainment industry is moving increasingly online to the on-demand video platform. I fear that the traditional movie industry will continue to shrink as Netflix, Amazon, Apple, Disney, and HBO race to create high-quality engaging content streaming directly to people’s living rooms. I think perhaps it depends (as always) on quality. A great Netflix series may be seen by more than a mediocre movie. For example, there is little doubt in my mind that a Netlfix show like Stranger Things will probably be seen by more people than Walden’s Dawn Treader. I recently discovered another Netflix series based on a book series: The Worst Witch. Very obviously middle-grade novels adapted for a younger audience, but Netflix is clearly moving away from doing only dark and grittier original content. @“There is no truth to it” – Joe Johnston. At least, he’s said that before in terms of Narnia. As far as I’m concerned, The Silver Chair is still in development and not being scrapped. No proof otherwise except for one article claiming so. Ask Joe Johnston or David Magee on Twitter! Or contact Douglas Gresham and see if he knows anything about this. Glumpuddle or an associate better grill Mark Gordon and Johnston at The Nutcracker premier. I’m hoping that everything you said is true. (Especially the part about grilling Mark Gordon, etc.) But like I said, I’m not too worried yet. I really have mixed feelings about this. On one hand, this would allow a deeper look into Narnia, but on the other hand, I’m worried this series might replace the movies, especially since I’m REALLY looking forward to the Silver Chair movie. I propose that they should be kept in separate continuities while being released, so everybody wins! P.S., your "April Fool Pranks" seem to have a bad habit of coming true, you guys REALLY should be more careful! Yes! I hope they will! They will be making reboots over and over again with every property. Time to stop. This is stufff of nightmares for me. Books are great because you have your own version of story and characters. Why cant movie studios realize this. Books are better than movies cause you see see it for youself in your mind on TV.Narnia means so much for me and seeing this milking of this property is painful.Same goes forAmazons LOTR, just for little bit of money. I have seen Predator this weekrnd , petrified cause that was really horrible. Time for film comunity to raise hand and stop studios from remakes and franchises. Film industry is in bad shape this is direct proof.Worst idea ever. I call for petion to this pathetic nonsense. Like seriously TV show Narnia on TV??? Give me break. Like every week there is information on some reboot of some beloved property.Every fricking week. It is ridiculous, few weeks back police academy sequel and now this? Atleast proper movies on IMAX screens, and epic visuals but Netflix? you want to Narnia watch on computer screen? This is not why he wrote this book. I bet they will cut all the christian elements and make it fun fantasy movie for families, but this books are acrually rettelling of Bible for god sake. Now that the rumour is true, I am terribly excited. This is probably the best you could ever do with this series. Narnia is just something that works better as an episodic medium; much like X-men. My proof that Netflix knows how to handle fantasy series is a series most people I’ve seen reviews for do not like, Troy: Fall of A City. Yes, they took some liberties, but being a huge Greek mythology fan, it is the most accurate portrayal of the Illiad I have ever seen. True, that series was made for BBC One originally, but the actors chosen in that series as well as making some changes ,with the story they are telling, were needed. I have seen Daredevil and House of Cards and they can have very good original programming, sure they can have some crap as well with Defenders and maybe some of the original movies they have made; but let’s be honest, I have much more faith in Netflix than Sony. Bottom line, I think this could be great, and making all seven books into a series, giving each book it’s own season. Make it a ‘Game of Thrones’ or my personal favorite Fantasy series ‘Merlin’, both of which take deviations from the book or legend they are based on and giving something different, but still great in their own way. I don’t watch Netflix often – but my parents do. They were kids when Narnia was a bigger reading sensation. I guess they would respond excitedly to a Narnia/Netflix adaptation – at least my dad would. My mom is not that interested in fantasy other than Harry Potter. As for myself, I just want to see good movies made of the Narnia adaptations. Whether it’s a reboot or not. Making the stories work in films to be shown in theaters is my greatest hope – but like Charlie Brown or Lemony Snicket, maybe TV is the best option: Kids of all ages will see it and remember it.